The big news today is that our Universe is a little older than we thought, has a little more matter in it, and is every bit as strange as we’ve come to expect. Some numbers got shifted around a bit, but things are pretty much what we cosmology-watchers expected. It’s not a bad thing, in my opinion. After all, we still don’t know what dark matter is, we still don’t know what dark energy is, and we still don’t understand inflation completely. Adding weirdness to weirdness is probably more than our poor brains could take right now. We learned all of this from the newly released data from the Planck mission, a telescope orbiting a stable gravitational point beyond the Moon. (That’s the L2 Lagrange point, for those keeping track at home.) 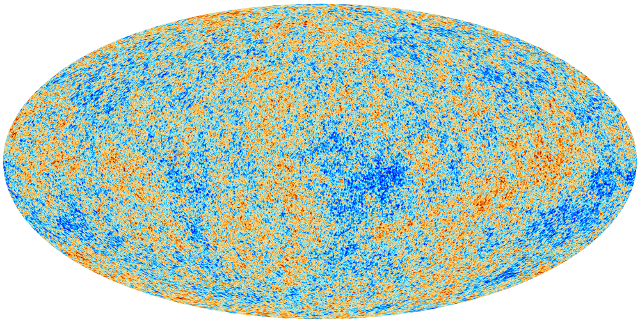 Like WMAP before it, Planck was designed to study the cosmic microwave background (CMB), the radiation left over from recombination, when the Universe became transparent about 380,000 years after the Big Bang. I wrote a primer on the CMB a few weeks ago on this blog, and summarized the Planck findings for Ars Technica today. I won’t repeat what I wrote there, but I wanted to highlight a few of the big important things to take away from the data release, and give a few opinions too cranky for Ars Technica. Similarly (and for similar reasons), the relative amounts of stuff in the Universe have been shuffled a little bit. There’s a little less dark energy, according to the Planck data, while both ordinary (baryonic) and dark matter got a bit of a boost. The current balance is 68.3% for dark energy, 26.8% for dark matter, and 4.9% for ordinary matter. Again, not huge shifts, but interesting nonetheless. While earlier cosmology experiments, including WMAP, left tantalizing hints that there might be more than 3 species of neutrino, Planck seems to have closed that door. The neutrino data from CMB experiments aren’t definitive, but in combination with other results, it seems clear: the only neutrinos out there are the normal “flavors”. If you want more (and who doesn’t? ), check out Jennifer Ouellette’s summary at Cocktail Party Physics, Phil Plait’s take over at Bad Astronomy, and Ethan Siegel’s coverage at Starts With a Bang. Now, time for me to geek out over the power spectrum for a bit. The temperature fluctuations in the image above are pretty interesting by themselves, but the real way to deal with them is to convert them to a power spectrum. In essence, that’s figuring out how big the fluctuations are on the sky relative to each other, without worrying about exactly where they’re located. To put it another way, it’s hard to see the important patterns in the all-sky CMB map, so the power spectrum is a way of compressing some of that data into another form. The first thing to note is how much smaller the angles go in the Planck data compared with the equivalent WMAP power spectrum. The data points—the little red dots—are also more closely packed together, resulting in a lot more data to compare with theoretical predictions. The cosmology we know and love (? )—meaning the relative amounts of dark energy, dark matter, and ordinary matter—are determined by the size and position of the first three big peaks in the power spectrum. I covered that in my previous post, so I won’t go over all the details again. However, if any of you doubt the existence of dark matter, I encourage you to go back to that post and then back to your man, then back to me look at the third peak. 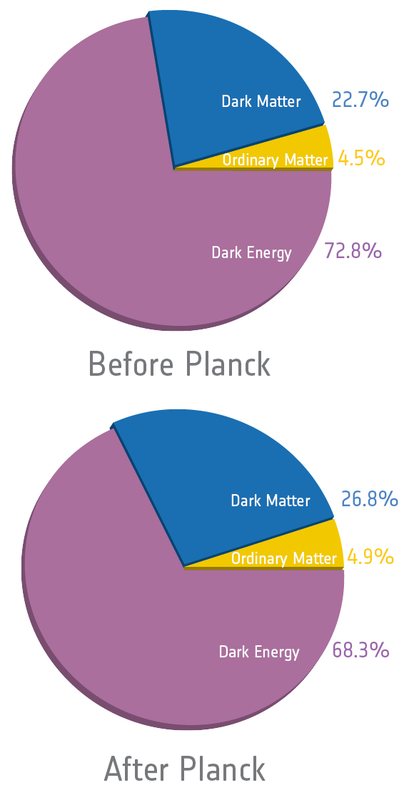 The Planck results are even stronger than WMAP’s for showing how much dark matter there must be in the cosmos. The ratio of dark matter to ordinary matter didn’t change—it’s still about 5 to 1—but there’s more of both in the Planck data, and the errors (represented by the vertical lines attached to the dots) on the estimates are a lot smaller. WMAP had to stop at the third peak: it didn’t have the resolution to go any smaller. However, Planck could probe down to very small angles on the sky (the bit of the image marked “b” above), which are the fluctuations that gave rise to galaxies—and ultimately to us. To put it another way, these are the direct evidence for the baryonic acoustic oscillations (BAO) I wrote about in an earlier post, and they correspond perfectly. Life is good. Now for the yucky bit: at the left side of the power spectrum, the error bars get big, and the points don’t fit neatly to the theory—any theory. These are anomalous temperature fluctuations at very large scales on the sky. As Jennifer Ouellette and Sean Carroll described it, the Universe seems to be lopsided: the temperature on one side of the whole sky is just a little warmer than on the opposite side. It’s not a huge difference, as you can see from the power spectrum: the highlighted bit in the image marked “c” is nowhere near the height of the peaks, or even the long tail. However, it’s enough to keep many cosmologists awake at night, and give writers like me heartburn as we try to combat the more sensationalist accounts of what those anomalies might mean. (Ethan Siegel in particular hates sensationalism, so I’ll turn the podium over to him for that rant.) One possible explanation, which seems kind of boring but which I can’t get out of my head, comes from a quirky aspect: the anomalies line up pretty well with the plane of the Solar System. That’s probably a freaky coincidence, but if it isn’t, then it’s probably some new kind of foreground signal that mimics the CMB, due to some undiscovered source associated with the Solar System. I have no particular evidence to back up that guess, so we’ll see if I’m right as people continue to study the problem. Sean Carroll proposed an interesting idea a few years ago, based on a modified version of inflation. Others (including Planck scientist George Efstathiou) postulated that the anomalies could be due to an earlier Universe that preceded the Big Bang. My colleague Amanda Yoho pointed me to two papers that discussed the problem (on one of which she was lead author), so good brains have been pondering the problem for some time. I’m confident that, however it works out, we’ll continue to be impressed with our beautiful, weird, wonderful Universe. What precisely does it mean to say the universe is ‘4.9% matter’? Are we talking number of particles? Total energy? Volume of space occupied by it? Total mass? Ordinary matter makes up 4.9% of the energy density in the Universe. From relativity, we know that mass is equivalent to energy, so you can think of matter as just another form of energy for this. If you take a big cube that encompasses a bunch of galaxies, then 4.9% of the stuff in the cube will be ordinary matter, 26.8% more will be dark matter, most of the rest will be dark energy, and the tiny bit leftover will be light or anything else we’ve left out. Right, that makes sense, thanks. So then can I conclude these two things? 1.) Per given area of space dark energy is quite dilute, and it is only the sheer volume of ’empty’ space that results in its predominance in our universe. 2.) Since dark energy is the ‘energy of empty space’ as our universe expands the ratio of dark energy to everything else increases. I’ve written extensively about dark energy in other posts, so I’ll send you back to those and let you ask questions based on that content! You might want to mention to your uncontactable (no email) colleagues at CosmoQwest, that their website is moves more viscously than molasses. I tried contacting you there, eventually found your blog. With regard to your BBC post `direct detection’ of grav waves, I found it missing one critical element: Grav waves have probably already been detected, & are hiding in data already taken at the worlds interferometers. However, it will not matter as Pulsar Timing Arrays will beat them prior to adv-LIGO science runs & PTA groups have predicted detection in 2016. 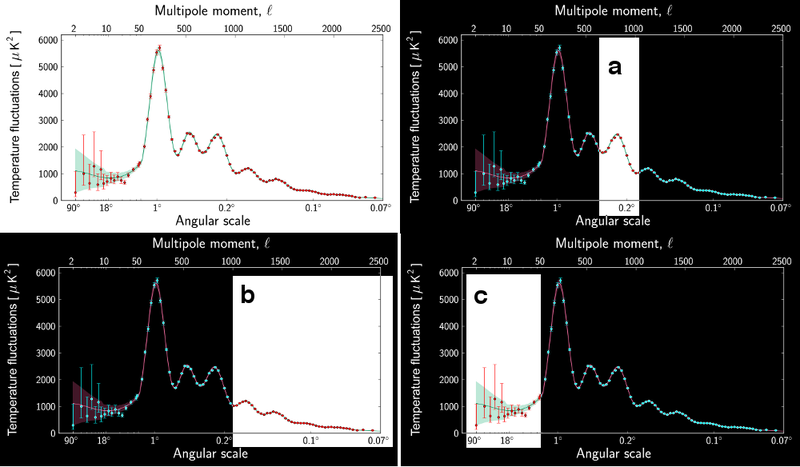 Moreover, Planck may have as well, & is expected to have analyzed the data for primordial grav waves in ~ 1yr. If they are undetectable, it may result in the overthrow of inflation & the crowning of the cyclic universe as the new standard model of cosmology. This comment is not only incredibly insulting, it’s off-topic for the post on which it’s placed. Is the third peak of the CMB power spectrum a conclusive theory-free proof of dark matter , or it is a theory-laden interpretation.? I see here a wonderful piece of circular reasoning , interpret CMB-PS according to the SMoC which includes DM , then see in CMB-PS signs of DM……..wonderful indeed . In this case we are assuming things when interpreting the data, but if the data showed no signs of DM? Then we would have to review our assumptions, or dismiss all the data. And if we see signs of DM but there is in fact no DM, it will should become evident later on. In science, eventually the truth will out. At the same time those who do not support DM are also looking over this data, one of the strengths of modern science is the plurality of voices and methods. If there’s another angle, I’m quite sure someone, somewhere will see it. 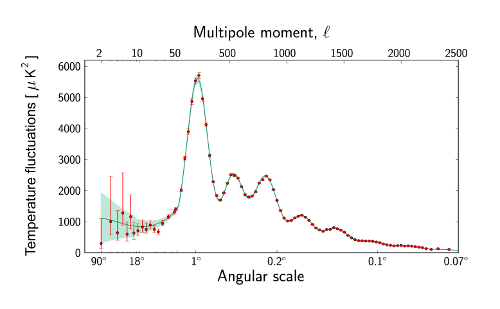 Forget about words , the fact is ; CMB-PS interpretation is based on a model which assumes DM , right ? 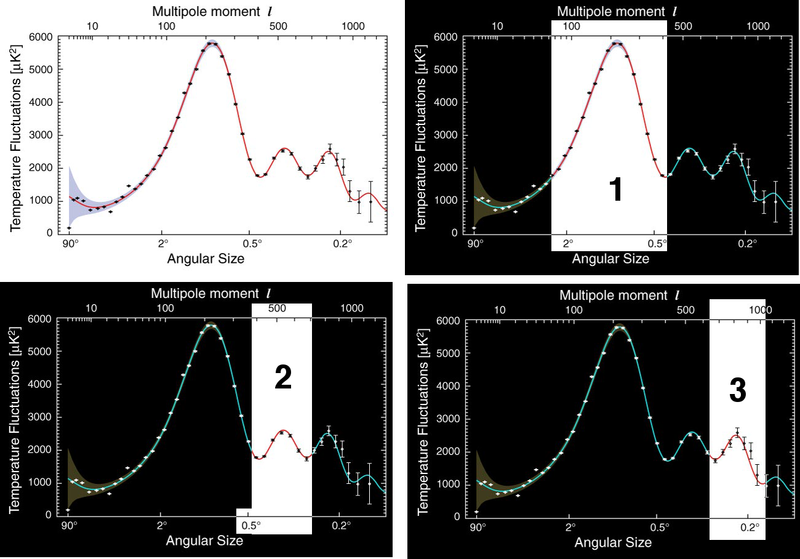 then seeing DM in the data is included in the interpretation firsthand …..call it as you like but the fact is ; if a MOND dependent interpretation is the one , then they will NOT see the 3rd peak as sign of DM . That must always be clear and obvious to the public . From the CMB point of view, dark matter refers to matter that doesn’t behave the same way atoms (well, protons and electrons) do when compressed. The CMB simply records pressure waves in the early Universe, and shows that there is a lot of matter that doesn’t compress the way normal matter does. There is no prior assumption of dark matter, nor is there any prior assumption that the dark matter in the CMB must be the same dark matter we see in galaxies and galaxy clusters. We infer they are the same, because that’s the simplest inference that fits the data. It’s not circular reasoning: we’re forced into accepting dark matter’s existence because of the evidence. Trust me, many (maybe most) of us would rather it not exist because it’s annoyingly elusive. We’d rather have things we can study directly, and our fondest hope is that we will detect dark matter particles some day. However, one thing scientists have to do is accept that reality often doesn’t correspond to our wishes. Dark matter exists: it’s not an assumption, but a conclusion we reluctantly had to accept based on the evidence. That reference to the bible was not appropriate indeed , despite my firm belief that revelation must contain internal proof of its source as it is the case with the quran , if you wish i can elaborate on this , just write your Email address. I do not see why it was not appropriate; there are other means of proving the authenticity of the bible, and it itself encourages us not to be credulous, accepting things because we are told them, but to question and investigate. “Faith is the assured expectation of things hoped for.” (Heb 11:1) If we accept the bible simply because it tells us to, then any work of literature that says the same would have the same authority. If you wish to continue this conversation then I can be contacted at gareth dot l dot dean at gmail. Yes, please continue this conversation via email. A physics blog is not an appropriate venue for discussions of comparative religion, and it’s highly off-topic for a post about the cosmic microwave background. 1. The octupole and quadrupole are aligned with the ecliptic (as in the WMAP), so Planck has pounded the final nail into the Copernican Principle. 2. The “axis of evil” persists, though Lawrence Krauss, Copi, Huterer, etc. hoped otherwise, so the Cosmological Principle is gone. 3. The anomalies occur at the largest angular scales, which invlaidate LCDM for this universe, and inflation. 4. The big bang theory needs to be jettisoned. 5. We do live in a special place. Can you explain how the redshift of the CMB is calculated to get such a precise date of emission ?